Spain has long been celebrated for its versatile and delectable wines; Rioja, Ribera Del Duero, and Priorat are now all major household names. From London to New York, you’ll hardly come across a wine store or restaurant list that doesn’t contain at least a few Spanish wines – the country is on fire at the moment, with luxury brands like Pingus and Vega Sicilia in great demand. Yet, for most wine lovers, Spain still predominately means the color red, an oversight which must be corrected. The last fifteen years have seen a phenomenal explosion of delicious, zesty white wines coming from Spain, with the massive buzz surrounding regions like Galicia’s Rias Baixas and Valdeorras, important sources of the mega trendy Albarino and Godello. Today, Spanish whites are rapidly becoming a fixture across the globe; consumers are going nuts for wines like Albarino and modern style white Rioja; fruit driven and clean cut rather than flat and oxidized. But the greatest revolution to have taken place in Spanish white winemaking has occurred in the vineyards of the Rueda region, in North-West Spain. In fact, Rueda can legitimately claim to be the God-Father of modern Spanish white production. Historically, grapes have been grown on this land for centuries, as far back as the 11th century in fact. 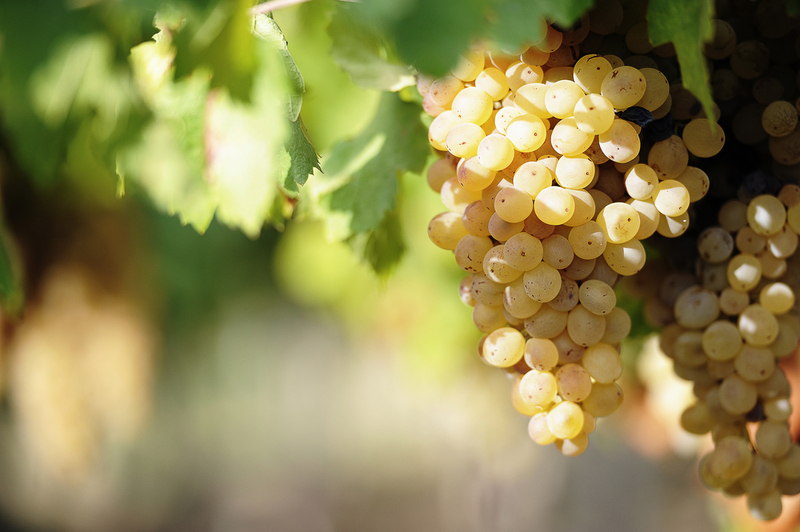 However, it was not until the 18th century that the now signature Verdejo grape was planted in the Rueda zone; its popularity soared and the harvests became spectacularly large, far greater than anything seen currently from the region. But it should be emphasized though, that for decades the wines of Rueda didn’t resemble anything like the clean-cut, appetizing thirst quenchers we enjoy today. Rueda wines were classically vinified and fortified like sherry, made in a style that would be a complete anathema to today’s consumers. The turnaround came in the 1970s when leading winery Marques de Riscal started to explore the possibility of modern white winemaking in Rueda. In 1972, Riscal founded its winery in Rueda dedicated to making white wine, creating a new style and recovering the Verdejo grape – Spain’s answer to New World aromatic whites! Marques de Riscal continued to play the role of the pioneer, introducing the now ubiquitous Sauvignon Blanc to Rueda in 1974 and finally establishing a formal appellation or Denominación de Origen in 1980. It is during this period that a younger generation of post-Franco winemakers brought modern techniques and a more international outlook to Spanish winemaking. Subsequently, great interest spread in producing fresh and fruity Rueda wines and today there are over 15 leading wineries making world-class whites. 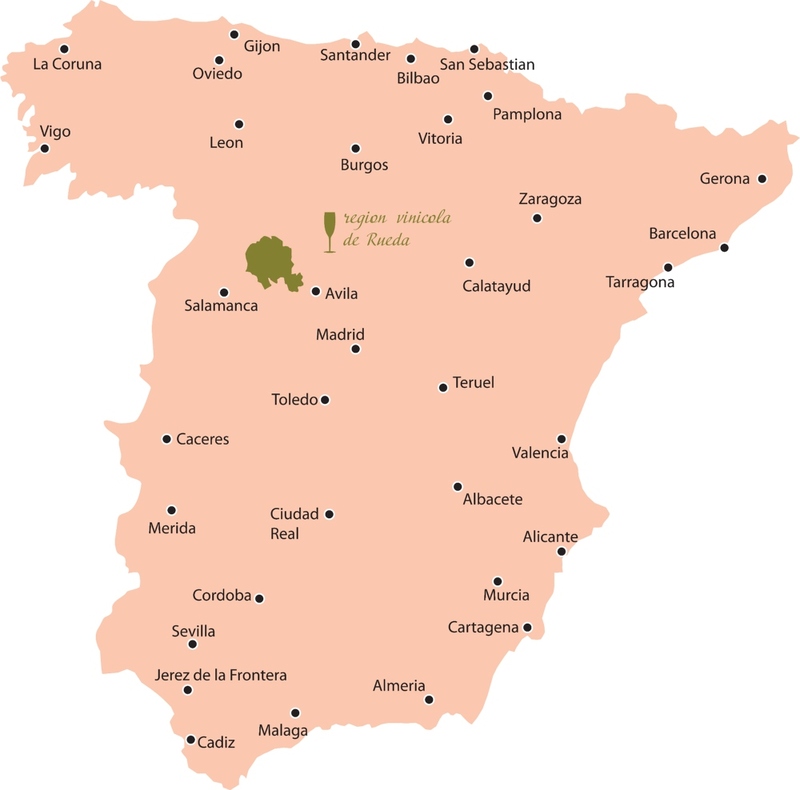 Their vineyards can be found in the Castille y Leon region, south of the city of Valladolid. The most important landmark is the river Duero – or the Douro in Portuguese– which, of course, flows into the famous red wine zone of Ribera Del Duero. Vineyards are largely located around the four main wine villages of La Seca, Rueda, Serrada, and Rodilana. Rueda’s terroir is far from homogeneous, but essentially the region’s climate is continental, offering growers sometimes bitterly cold winters and hot, but short summers. The average daytime temperature in the summer is around 25 degrees, although this drops considerably at night, a key element in maintaining that all-important acidity and freshness in the wines. The soils in the region are predominately poor and infertile, ideal for keeping yields sufficiently low for the production of high-quality wines. The vineyards in close proximity to the Duero river benefit from the alluvial deposits and high lime content in the soil; these are considered some of the finest sites for making age-worthy, structured wines. Growers and producers jealously guard the locations of their most prized vineyards, usually old bush vines that give low yields, planted on extremely poor and gritty soils. The mainstay of production in Rueda is the charming Verdejo, planted across the zone. It is essentially Spain’s answer to Sauvignon Blanc and blends well with the other permitted white varieties, which include Rioja’s Viura and a smattering of red grapes, like Tempranillo, Merlot, and Garnacha. However, these are largely inconsequential when compared to the volume of premium whites produced in the region. Stylistically, Rueda is something of an adaptable chameleon. It ranges from a fruity, refreshing thirst quencher to a structured white of considerable depth, texture, and elegance. At its best, however, Rueda offers potent aromas of citrus, tropical fruit and a zesty palate, underpinned by that attractive minerality often found in good Chablis. Great Rueda is quite a striking wine; a fitting rebuttal to the critics who suggest that Spain cannot produce world-class whites. There are also two distinct types of wine available: “Rueda Verdejo” which must be 100% varietal Verdejo and Rueda, which can be a blend of up to three of the designated white varieties. 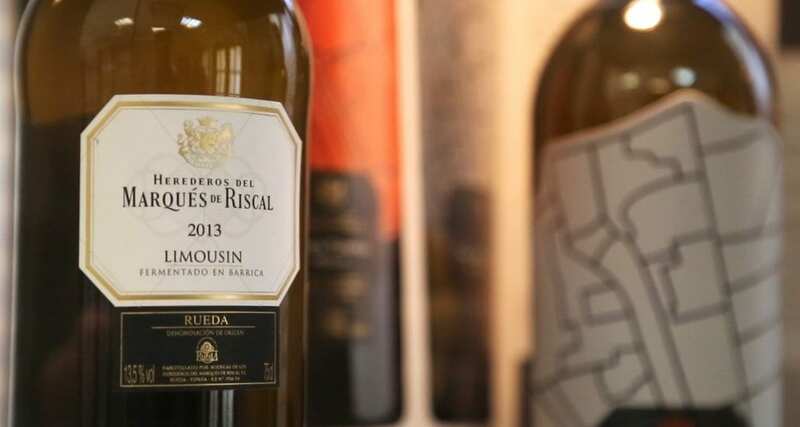 Rueda is still a relatively young appellation within Spain’s mosaic of great wine styles, and yet, its wines have quickly become a hit with consumers both within and outside of Spain. In a time when people love fresh, clean and aromatic whites, Rueda ticks all the boxes. But despite achieving this success, the region’s dynamic wineries continue to drive innovation and push for higher quality standards in the DO. In recent times, the use of oak has become a hot topic, with some wineries choosing to ignore the lure of barrel fermentation and aging, while others insist it adds an extra dimension to an already well-established wine. Barrel fermented versions are increasingly becoming fashionable and do add weight and texture, although some feel that this detracts from the pure, saline quality of Rueda; ultimately, there are currently enough styles available to keep everyone happy! A few producers like Jose Pariente have even experimented with producing late harvest dessert wines from the Rueda terroir, their late harvest, 100% Sauvignon Blanc is a thoroughly delicious wine and a match for more famous sweet wine styles like Sauternes. It offers green fruit notes, a gorgeous creamy palate, and that all-important balancing acidity, which prevents the wine from cloying. But sweet wines apart, where does the curious wine lover go looking for delicious, reliable Rueda? Well, you have quite a few options to choose from. The original – and still one of the best – sources of great Rueda is Marques de Riscal. They produce a consistently excellent range of wines, not least their Limousin label, which remains one of the region’s top Rueda’s. They also make a good varietal Sauvignon Blanc, in addition to blending the variety with the mainstay of production, Verdejo. Jose Pariente, in addition to their small output of dessert wines, also make good quantities of reliable, pungent and zesty Rueda, including the classic blends and again, a varietal Sauvignon Blanc. Quite distinct in style from the Marlborough Sauvignon now seen in wine bars globally, Rueda tends to give softer, more citrus fruit and grassy wines, in contrast to the intense, tropical fruit-scented wines made in New Zealand. Another top-notch producer of Rueda is Alvarez y Diez, who make relatively small quantities of crowd-pleasing, aromatic wines that are the ideal accompaniment to seafood. Which is, of course, what Rueda was made for, especially shellfish. Grilled King Prawns matched with a top bottle of Rueda is gastronomic heaven indeed. It also finds a natural home as a general aperitif, as most examples are clean, un-oaked and very refreshing. Javier Sanz must also not be omitted from this discussion. All his range is uniformly excellent, offering a particularly singular and aromatic expression of the style, with great acidity and complex layers of topical and citrus fruits. His diverse range of wines includes a varietal Verdejo, the fermentado en Barrica, and the gorgeous semi-dulce Rueda. 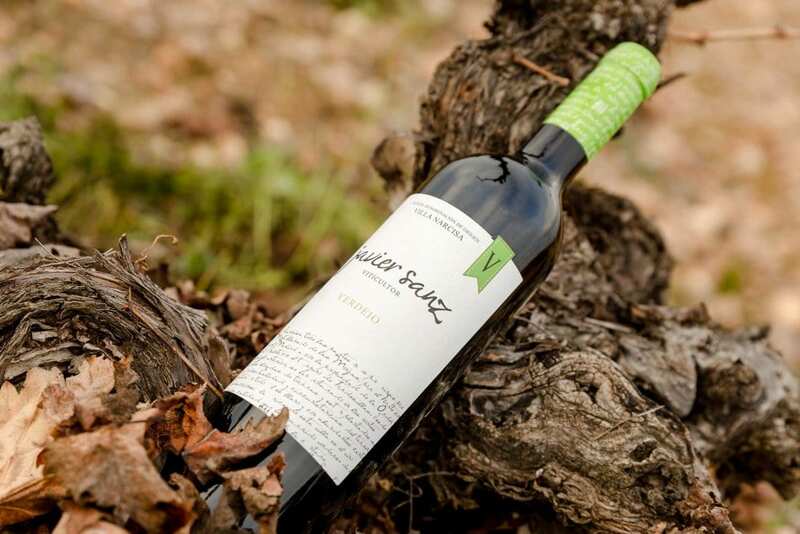 Sanz is also a great believer in expressing the individual terroir of superior vineyards within the zone, to that end, he produces a superb single vineyard wine – V Malcorta, Verdejo singular. It must be tasted. In the space of just over 35 years, Rueda’s dynamic firmament of producers have transformed a once unknown backwater into one of Spain’s leading white wine regions. Rueda is rapidly becoming a household name, and may yet threaten the supremacy of Marlborough Sauvignon Blanc. And with such great success being achieved, it is only a matter of time before the number of producers doubles in the region; great news for wine lovers, as the more delicious Rueda available in the world the better. Recommended Wines: Alvarez y Diez, Marques de Riscal, Francois Lurton, Naia, Ossian, Jose Pariente, Javier Sanz, Veracruz.